I am currently running a Davis Vantage Pro 2 wireless weather station model 6152. I also have the wireless anemometer transmitter kit. This allows me to have my temperature, humidty, rain sensors near the ground, but have the wind anemometer above my house. This is an optional kit. With the high winds I experience in the country, snow doesn't get deposited in my gauge. Snow fall moisture amounts are manually entered into the system. In December of 2012, I also added the UV and Solar Radiation sensors. I am currently using weather software by SandySoft called Cumulus MX. It can run on Windows, or even a Rasbery PI. With the help of a great bunch of guys on the WXForum.net and Ken from Saratoga Scripts, I updated my website to a more modern look. If you are at all interested in purchasing a weather station or software and need help, I can't recommend WXForum highly enough. They are a helpful bunch over there. When the developer of Cumulus retired, I was concerned about the further devolopment of the product. So I purchased a copy of Weather Display. I was able to import all of my old data that Cumulus had accumulated. I was able to also download all of my old data Virtual Weather Station had used as well with WeatherDisplay's Weather Underground download feature. You can see a copy of that software running here: Weather Display. Since then, another developer has taken over the Cumulus software, so I'm going to run both versions while I can. My Weather Display version is running on a Davis Envoy receiver along with the WiFI logger. I highly recommend the WiFi logger to anyone looking to get their Davis VP or Vue on the internet. You can find it here: WiFi Logger The developer of that product is on the WXForum and is constantly adding features. The WFL product can upload data to many sites without the need for software. All you need is decent Wifi, a console, and the Internet. In May of 2014, I became a member of the Blitzortung Network. Blitzortung is German for "lightning locating". It is purley an amatuer based lighting locating system. Members build their own lightning detection equipment. That equipment uses a combination of detecting antennas and GPS signals to locate lightning strikes and send the data to a central server. Originally based in Europe, it has now spread to the US. As the US network adds more lightning detection sites, the ability to detect strikes will get better and better. Building your own lightning system requires a knowledge of soldering and other electrical skills. So it's not a project for the faint of heart. I found the project enjoyable to build and look forward to expanding the project further and assist in getting more sites added across the US. Since I made my lighting detector, they are now selling pre-made units that don't require soldering skills. However basic electrical knowledge helps. 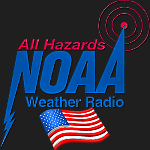 March of 2017, the most popular site that streamed NOAA weather radio stations decided to stop that service. Again with the help of the WXForum.net crew, we were able to get many of those streams back up and functioning again. Special thanks to Crushed Box Software for hosting those streams. The WXL78 NOAA Radio Bismarck stream originates from my personal home. I have a Raspberry PI device connected to a Software Defined Radio(SDR) that receives the NOAA Radio signal. The PI then encodes that signal into a MP3 stream that is fed to the Crushed Box ICECAST server. I am then able to point my audio player page to that stream for you to listen to. I am also able to send the same stream from my Raspberry PI to Broadcastify.com website. If you browse to ND and Burleigh County, you will find WXL78 being streamed from my house as well. Broadcastify has an app for your phone to listen to my stream. In February of 2016, I added a new Bloomsky weather station that has a HD Fisheye camera built into the system. The system is solar powered and connects to your WIFI network to upload data to the Blooksky cloud servers. The Bloomsky system takes the pictures from the day and makes a timelapse video at the end of the day. It can also upload data to the Weather Underground Network. You can checkout their system at http://www.bloomsky.com and my station Here. My station is located a few miles north of Bismarck, outside of city limits. I am north of Highway 1804 and west of Highway 83. Bismarck is the state capital of North Dakota and the second largest city. Here is my location on Google Maps. I have always been interested in the weather in general. I suppose that came from my father who too usually kept an eye on weather. I've also always been a technical person. I have a degree in electronics and am currently employed as a Network Analyst. So when I purchased my own house, I decided a simple thermometer wasn't good enough for my weather hobby. That's when I purchased the Davis Weather station. Because of my technical nature, I have also always been involved with the Internet. My ISP allows me some web space on the Internet. So I made pages for my family pictures and my interest in motorcycles. That just naturally combined later with my interest in weather. Since weather is just a hobby, my time spent on the weather portion of my web site varies. I am currently married and have a son as well as a house to work on. Plus I love to ride my BMW motorcycle. So my time and money is divided amongst all of those. For now, I consider this my hobby. That means I'll invest in it as I can. To me, it's not much different than customizing my motorcycle. Or for others that like fishing, hunting, etc. If you find my site helpful, spread the word! Thanks for stopping by! If you enjoy this site, please tell others. I have plenty of bandwidth available.